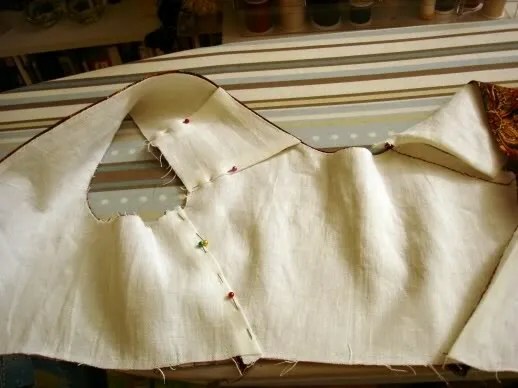 I took pretty detailed pictures of the bodice construction. 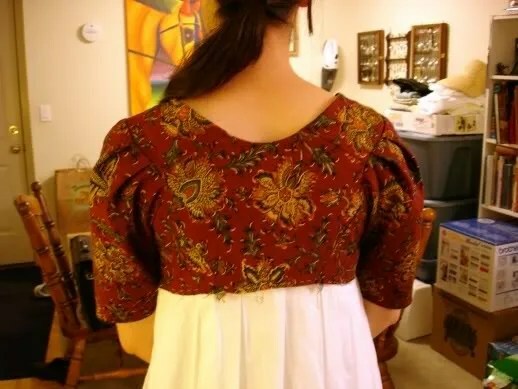 First I basted the linen lining to the fashion fabric of the center back piece, turning under the neckline edge. 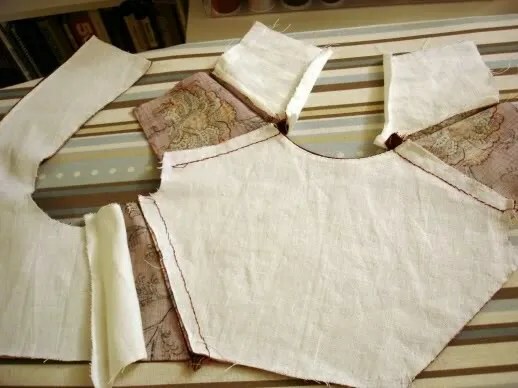 I did the same with the other bodice pieces, but I left the lining hanging free along areas that were going to be seams. 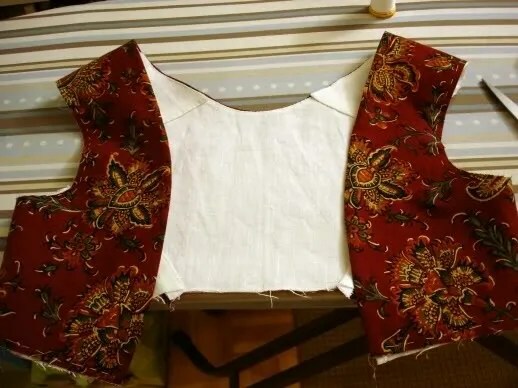 Then I assembled the bodice with backstitches from the fashion fabic side. 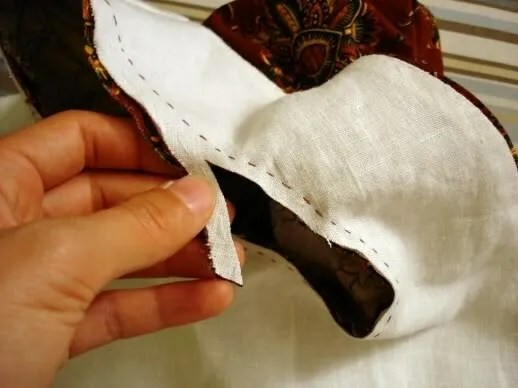 I left the loose lining pieces hanging free. 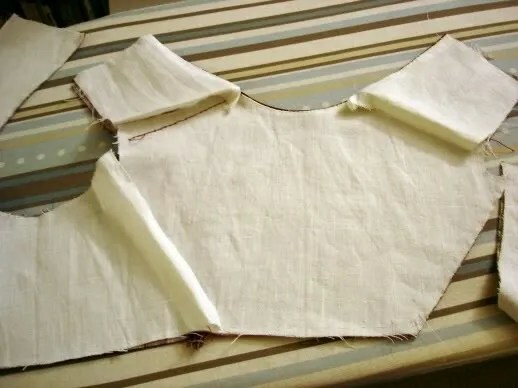 After that, I turned under the free edges of the lining pieces and sewed them down with whip stitches. 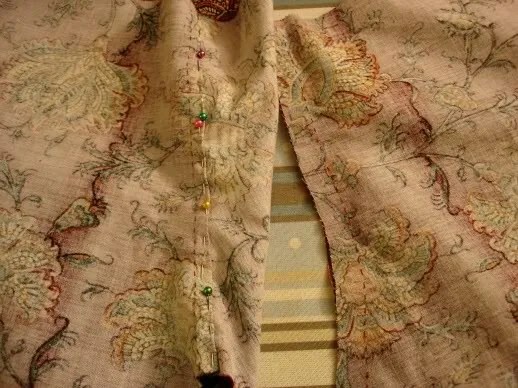 I sewed up the seams on the sleeves with backstiches. These are unlined. 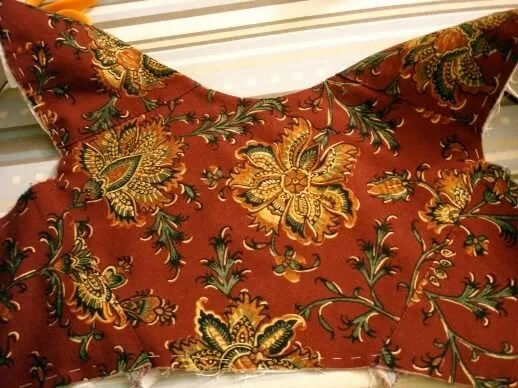 I then trimmed one side of the seam allowance and sewed down the other allowance in a flat-felled seam with whip stiches. 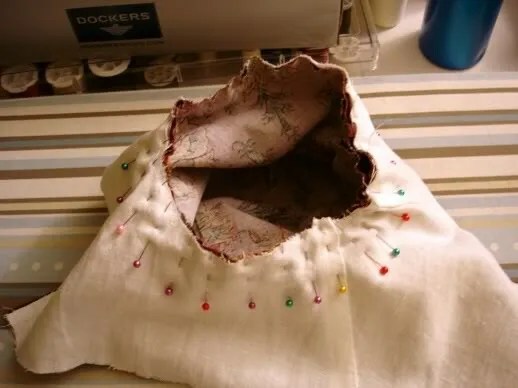 I then set in the sleeve with backstiches. 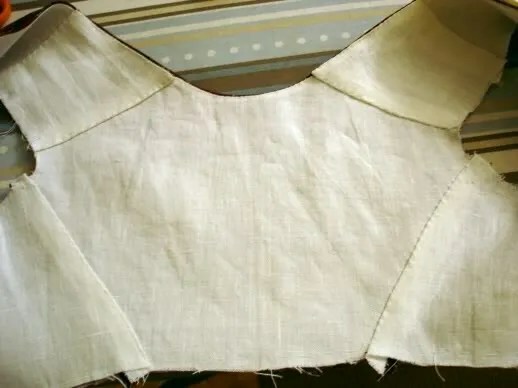 After checking the fit of the sleeeves, I trimmed down the armhole seam allowances and overcast them with white cotton thread. 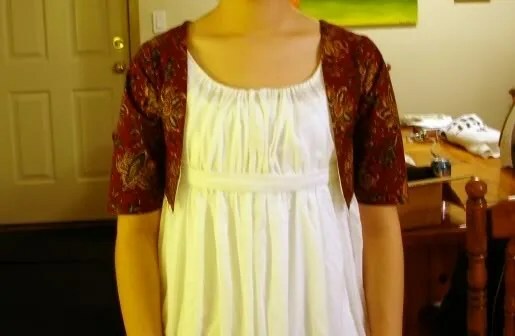 Now, on to the skirt!